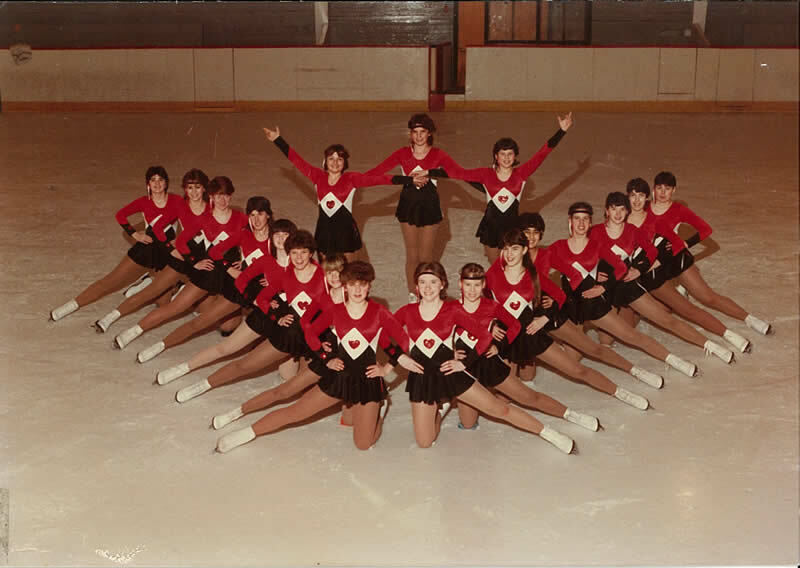 The following were team members: 1981 only – Dawn and Karoleigh MacKenzie, Lisa Robicheau and April Slauenwhite; 1981 and 82 – Patti Cantley, Sandra Crowell, Andrea Davies, Julie and Tracy Ford, Leigh Frizzle, Sherrie Gaul, Michelle Hamilton, Patricia MacDonald, Giselle Slauenwhite and Carolyn Weare; 1982 only – Glenda MacCallum; 1981-82-83 – Tracey MacFarlane; 1983 and 84 – Giselle Gallant, Shelley Mailman and Robyn Smith; 1984 only -Nicole Belliveau, Bonnie MacLeod, Erin and Th eresa White and Crystal Willett; 1981-82-83-84 – Gigi and Julie Griffi th; 1987 only- Lynn Adey, Lorianne Cadden, Colleen Coleman, Cindy Davis. Tracy Gallivan, Tina Nixon, Krista Ven Den Hueval and Stephanie Veniot; 1984 and 87 – Tamatha Campbell , Amy Gough, Tanya Hibbs and Lara MacLean; 1983, 84 and 87 – Jackie Cress, Tanya Maher, Kavita Prakash and Heather Sexton; 1982-83-84-85-86 and 87 – Joanne Durland, Jennifer Parker and Shannon Pickerem; the only young lady to skate on all fi ve teams was Charlene Boudreau! 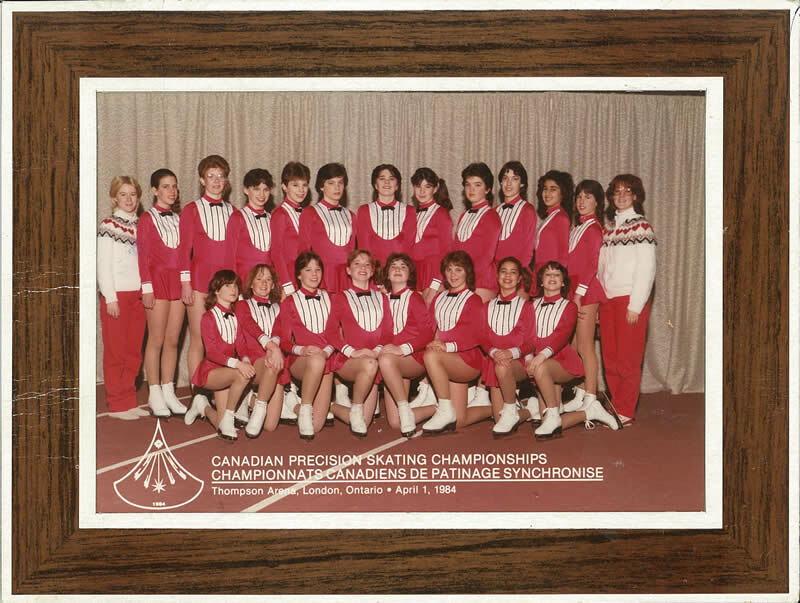 Th ese young women, their coaches and organizers, were trend setters not just for the Valley but for Nova Scotia and Atlantic Canada. Winning Provincial titles in 1982-83-84 and 87 and also in Atlantics in 1981 and 87 they also did us all proud in Nationals. 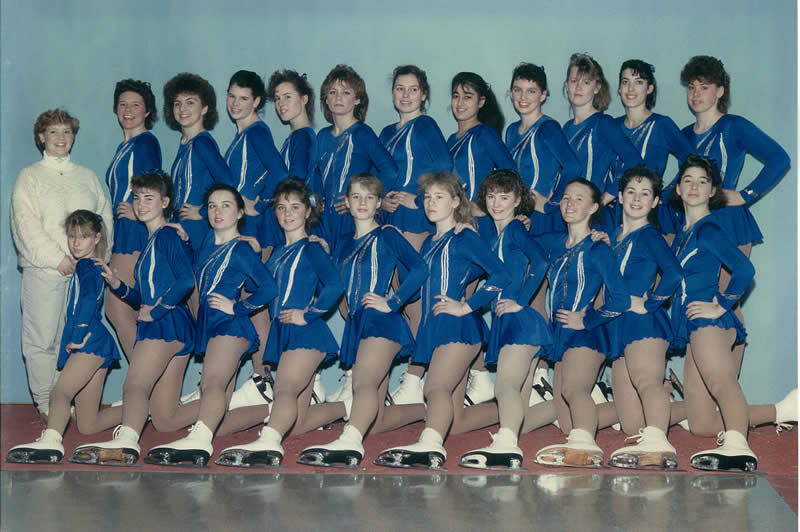 In 1983 they journeyed all the way to London, Ontario by “the little blue bus that could” flew to London the following year and then to Toronto for Nationals in 1987. These forty-eight young women and staff are a most worthy addition to the Sports Heritage Wall of Fame.